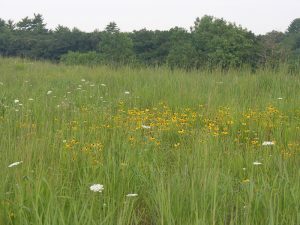 The Concord Landfill opened in 1959 with little opposition, drastically changing the landscape of Walden Woods. The landfill was placed where The Cold Hollows and Little Goose Pond used to sit. Excess nutrients from the landfill have in the past caused eutrophication in surrounding bodies of water including Walden Pond. In 1994 the landfill was retired and capped. In 2014, a solar array was installed on top of the capped landfill supplying 1.7 MW for the Town of Concord. 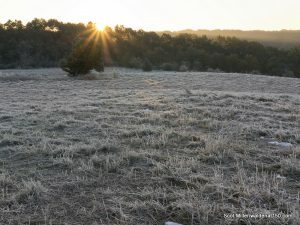 Since 1994, the site of the Concord Landfill has made significant progress in returning to its historical condition. 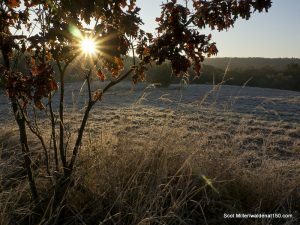 Trees and shrubs have been planted along the perimeter of the former landfill and native grasses have returned to the site. Wildlife is now abundant at the former Concord Landfill. 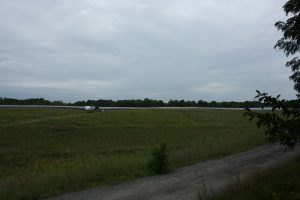 The former landfill also houses 5,830 solar panels. 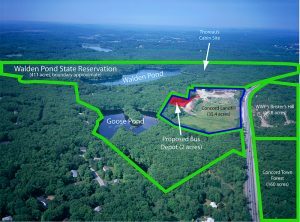 The former Concord Landfill is the largest parcel of land in Walden Woods without permanent protection. 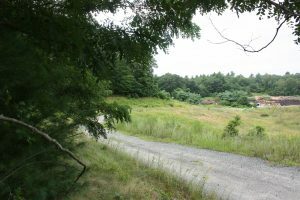 While reclamation efforts have been successful since the closure of the landfill, the Walden Woods Project hopes that the site will eventually return to its natural condition.